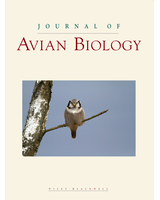 Data from: Are house sparrow populations limited by the lack of cavities in urbanized landscapes? an experimental test. Data include urbanization score, nest box occupancy rates (%), breeding rates (%) in 11 sites for two consecutive years. Current urban policies are associated with deep changes in urban structures, which may impoverish urban biodiversity. A major concern is the disappearance of nesting sites for wild vertebrate species living in urban areas. New urban structures without any cracks or cavities may especially preclude cavity nesters from breeding in cities and they may cause population declines. In that context, we experimentally investigated this question in an urban exploiter bird species (the house sparrow, Passer domesticus), which is dramatically declining in most European cities. To test if the lack of cavities is limiting house sparrow populations in urban areas, we equipped 11 sites along an urbanization gradient with nest boxes and we then evaluated the rate of occupancy of these nest-boxes. This urbanization gradient was characterized by very rural places (isolated farms) and moderately urbanized areas (town of medium size, i.e. 60 000 inhabitants). Surprisingly, rural nest boxes were more occupied than urban ones, suggesting that cavity availability is probably more constraining in rural areas relative to urban ones. Therefore, our study suggests that urban house sparrow populations are probably not constrained by a lack of nesting sites in medium size cities with urban designs similar to our city of interest (Niort, Western France). This hypothesis definitely needs now to be tested in further urban landscapes (e.g. large cities and urban landscapes with other architecture and management policies).